A liver cleaning releases you from pollutants from alcohol and drugs consumption - natur-apothekes Webseite! 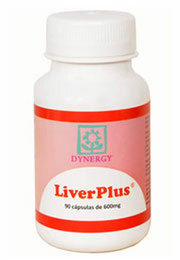 Product effect: Liver Plus cleans and detoxifies the liver, improves the liver cell regeneration, supports the liver function and avoids the formation of toxins in the liver. 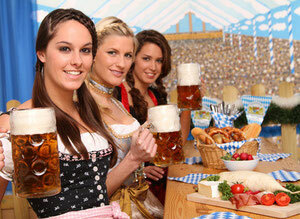 Decontamination of the body: Alcohol is diminished almost exclusively in the liver. Special enzymes, also protein, change the alcohol in a chemical manner, so that he is not injurious any more. The poison materials in drugs are converted by the same principle of the liver in innocuous materials. The liver is also able to be convert ammonia into innocuous urea, so that he can be eliminated. Fat digestion by bile: The liver produces daily at least 1 litre of bilious liquid which are directed about the cystic ducts from the liver in the buffer bile. For the digestion of the fat, taken up with food, the bile, accumulated in the gall bladder, empties itself after about twenty minutes in the small intestine. Fat metabolism: The liver processes the fat which is taken up about the food. The liver can produce of proteins and sugar fatty acids which are transported then by the bloodstream up to the fat cells. Carbohydrate metabolism: The liver enables to store excessive blood glucose after meal and to release according to demand. The emission of the blood glucose and delivering in the bloodstream are released by the hormone Glucagon. 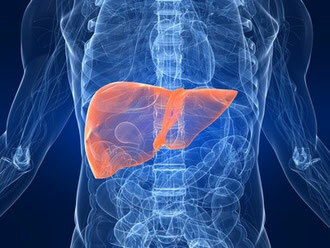 Hormone production: The liver forms different hormones: Vitamin B3 is responsible for the calcium balance in the body, the hormone IGF-1 for the acceleration of growth and muscle construction, the hormone Angiotensinogen is involved in the regulation of the blood pressure and the liquid balance. Storage of various important materials: like vitamin A, vitamin B12, vitamin D, vitamin E, but also folic acid, as well as iron and copper.